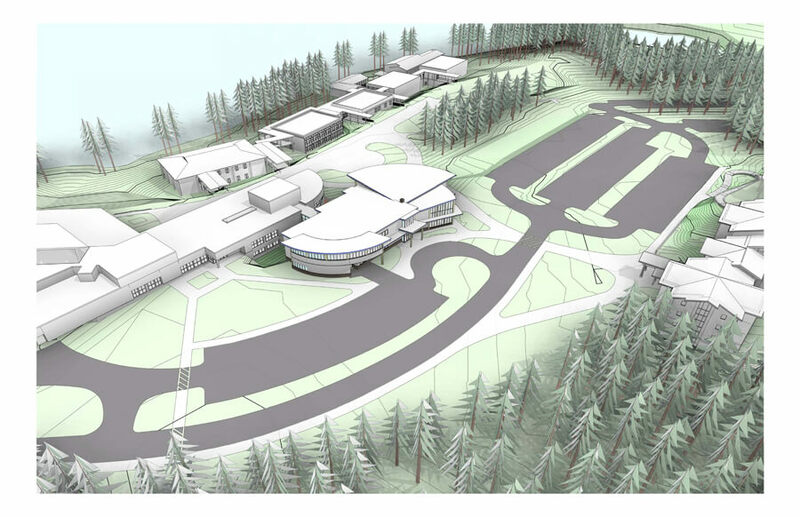 The University of Alaska Southeast invited three firms to prepare Conceptual options for a proposed new student union. The MRV solution provided a central location, linking the existing library and new Pugh Residence Hall. 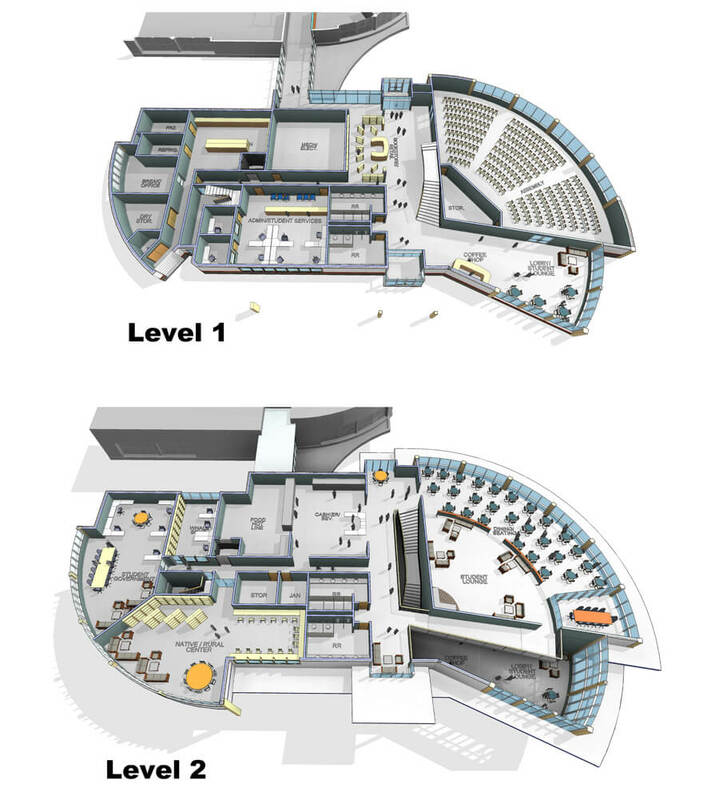 The facility included a large flexible meeting space and performing venue, cafeteria and social spaces, and a featured space for a Native-focused social and support space.